We offer digitally printed signs so you can have unlimited colors or photograph possibilities on any sign. We also provide vinyl cut letters in a variety of colors. These graphics are then professionally applied to almost any type of substrate using our high pressure cold lamination machine. Our printed signs can be applied to aluminum, on either .040 or .080. The thinner aluminum is great for most sign applications, such as parking lot signs, while the .080 aluminum is the thickness required for street legal signs. Lexan is a popular plastic sign that is most often used in box illuminated box signs. Lexan allows light to shine through, and with a printed graphic applied, the graphic will light right up. 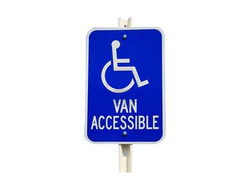 PVC signs is a solid surface sign that offers a smooth surface and is great for outdoor or indoor use. Coraplast is a fluted corrugated plastic sign material that is used for inexpensive signs, such as yard signs, political signs, and real estate signs.